Things that would make me happy right now!! – A comfy sofa, with time to watch F.R.I.E.N.D.S for as long as I want, with loads of ice cream to hog. – A spell of rain to quench the thirst, that all the heat in Bangalore has brought in. 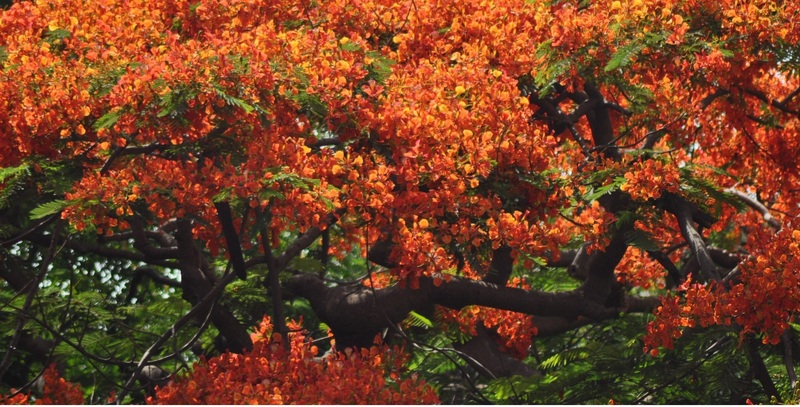 – A bicycle ride in a street, lined with huge gulmohar trees with lots of flowers. – A small nap on mom’s lap. – Lots of kissies from the little nephew. – A get together of all my close friends, whom I haven’t seen in a while. good friday and office? duh-uh! yay!! 🙂 it rained finally! Haha 🙂 It is only when we dream, can things take shape. You have already taken the first step. As for the Friends bit, you are welcome, with family, anytime !